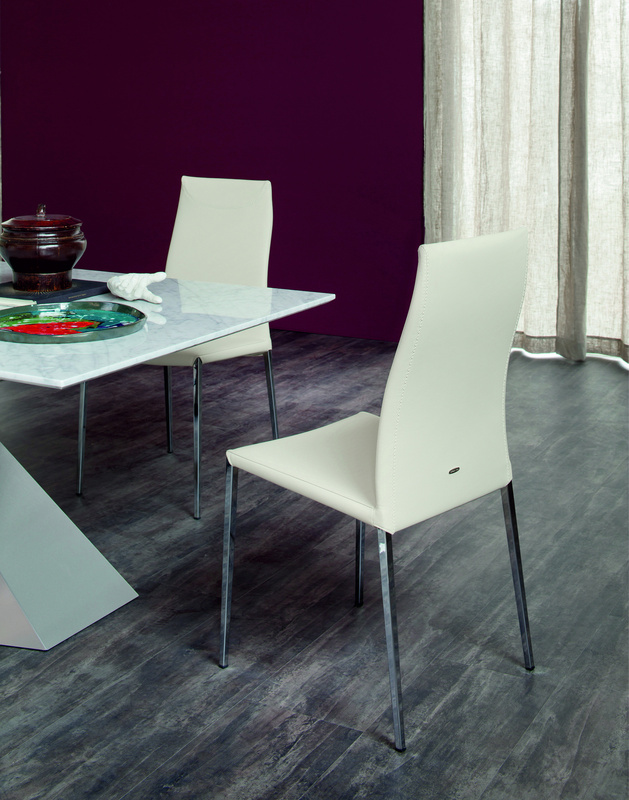 Supremely comfortable and ergonomically shaped dining chair that enables whoever is sitting in it to push back to an ideal reclining angle. 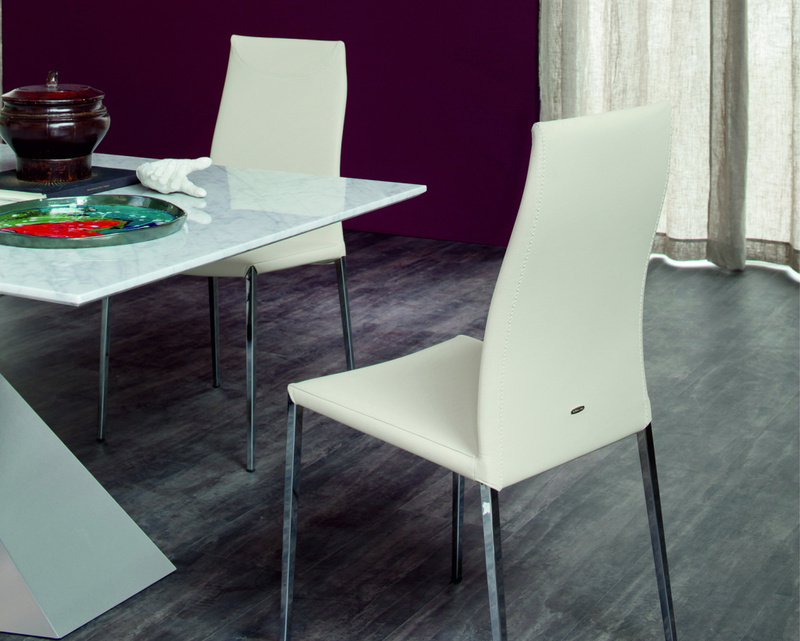 Stylish Italian design that features a steel frame entirely upholstered in top grain Italian leather or eco leather. The frame is offered in white, graphite or chrome.